SugarFreeRecipes was formed to offer a unique reference point on great advice and ideas for sugar free cooking. Taking away the sugar does not mean taking away the taste.At SugarFreeRecipes we want to show you just how easy sugar free living can be.Whether you are someone who suffers from diabetes or is keen to avoid sugar for another reason altogether, we aim to offer you recipes and suggestions to make mealtimes and snacks easier. Our experts aim to come up with new, healthy, sugar free ideas - or to offer "new takes" on traditional, tried and tested recipes. By using alternative sweetening ingredients, such as honey and sugar free jam, they want to show you that you need not be missing out. Some of our recipes also use granulated sweetener. Although not ideal for everyone, this can be a versatile ingredient in some cases for certain people wishing to avoid sugar. But we are also keen to hear from you - and to share your ideas for recipes.If you have any top tips or suggestions, please do let us know. 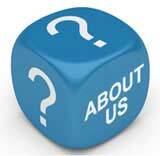 Or if you have a question for our experts then please forward it to us. We want to show that living without sugar in your diet is not as problematic as you might think. It is simply a case of following good recipes and coming up with a few clever ideas along the way. SugarFreeRecipes was founded by John Rowlinson, the founder of PtS. John, through PtS, is involved in a number of ventures including software and property companies. A percentage of revenue from these activities goes towards funding SugarFreeRecipes and a number of similar sites.